• They’re easy to care for. • They don’t fade and don’t lose color with time. • They affect the visual perception of space. 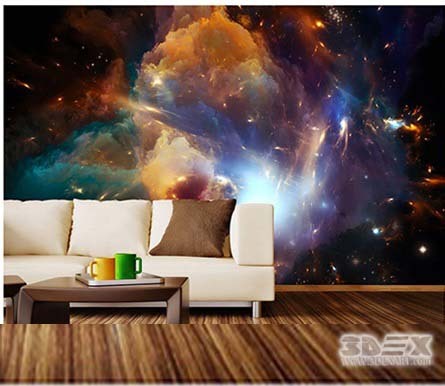 The only drawback of such wallpapers is the relatively high cost of canvases, which doesn’t allow changing them too often. However, this modest flaw can easily be eliminated by selecting a cover with a neutral and stylish pattern. 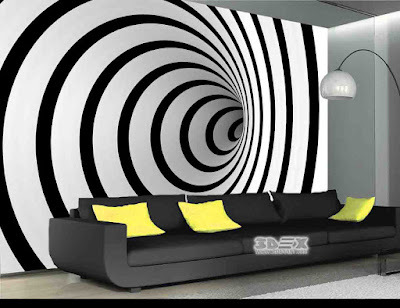 Colors, as well as images on the wallpaper, play a very important role in the visual perception of space. If we’re initially talking about expansion, then the use of warm or bright colors is excluded. It’s better to give preference to blue, purple or even green. If we’re talking about using 3D wallpaper images in the interior of the bedroom (photos will be an excellent example for inspiration), pastel colors such as beige or very delicate pink are acceptable. Helpful advice! 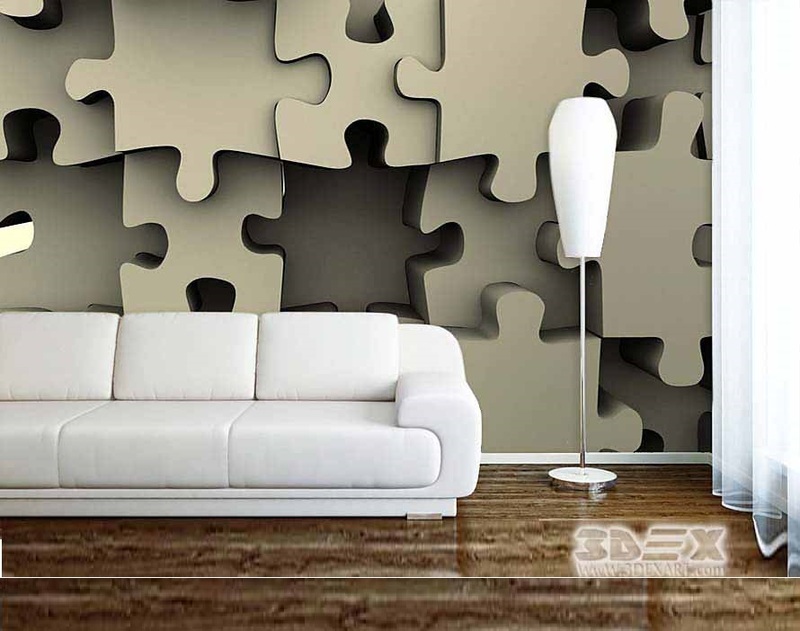 When choosing 3D wallpaper for walls, don’t forget that colors should be combined with all other interior items. 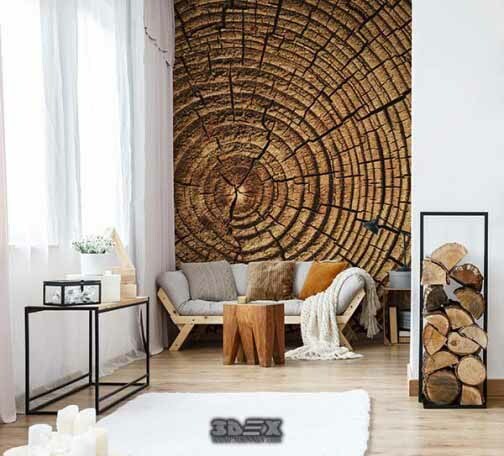 Contrasts can also be a good solution to the lack of space. The right combination of a light shade of walls and a dark floor and ceiling can make the room wider, while the significant visual loss is the height of the room. For a small square room or in the kitchen, a 3D wallpaper design with a large image of one object in the center would be suitable; so, the room will visually become longer. This can be seen by looking at photos of interior ideas in the kitchen. 3D wallpaper images with a perspective or an unusual pattern almost always look good. 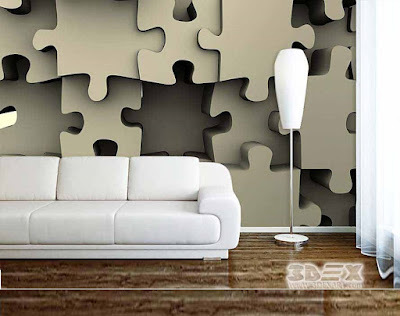 The texture is an important criterion when it comes to choosing 3D wallpaper for walls. 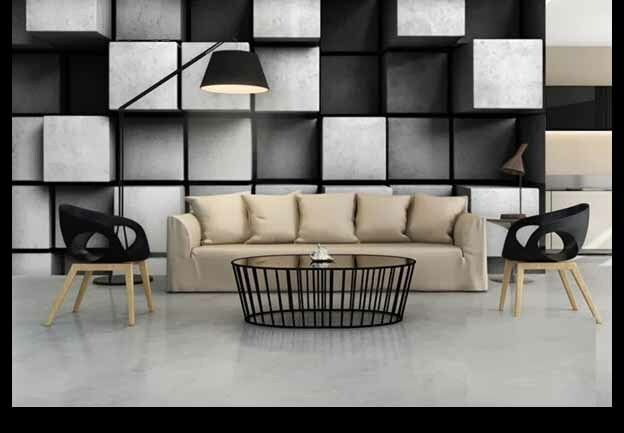 Depending on the texture, canvases can affect the space differently by expanding or conversely visually reducing the room. 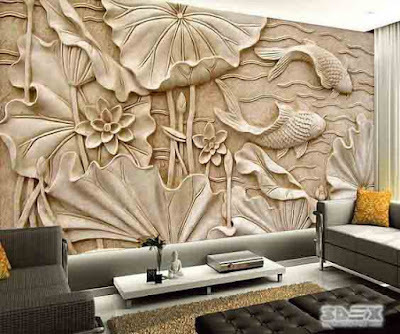 For this type of wall covering, there are several variants of textures: flax, dust, and canvas. • The texture of "flax" is best combined with all kinds of landscapes and photos of nature. • "Dust" looks best on bright large images. • The texture of "canvas" is most often used for photographs depicting architecture. 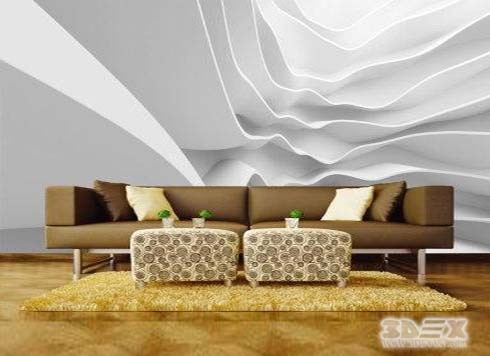 When talking about the expansion of space using 3D wallpaper for living room walls, it’s necessary to understand that large drawings combined with the texture of "dust" is unlikely to help you achieve the desired result. The large object in the foreground will be larger than the furniture, thus narrowing the space. 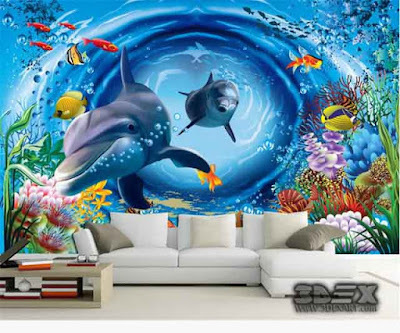 • Canvases with a glossy surface are well suited if it’s necessary to visually increase the space of the room because of the issue of crowdedness. 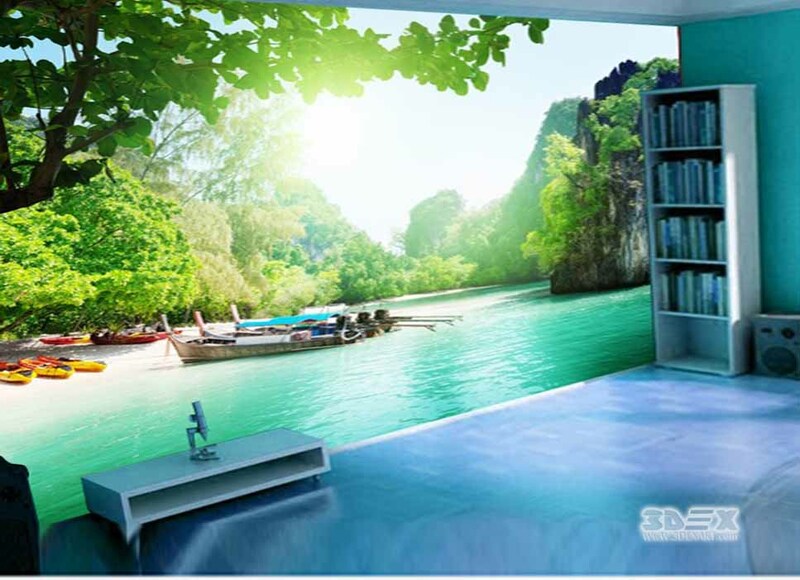 In the interior of the kitchen, photo wallpapers of this type occupy a special place, since the reflection of objects on the wall-cover creates a sense of additional space. 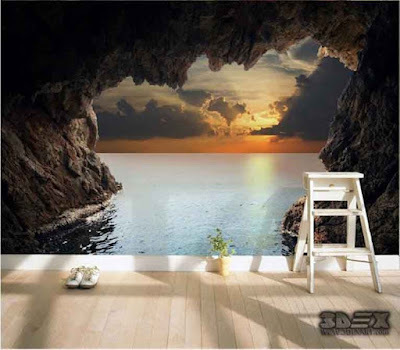 • It is beneficial to pay special attention to the picture depicted on the surface. 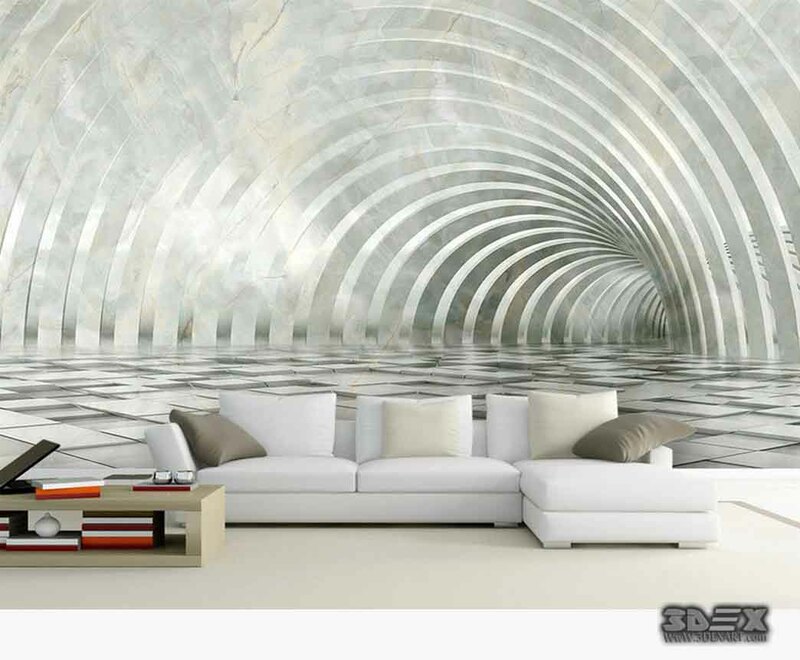 Objects or stripes located vertically visually "stretch" the height of the ceiling. For example, you can see an image of city nights in the wallpapers of the interior. 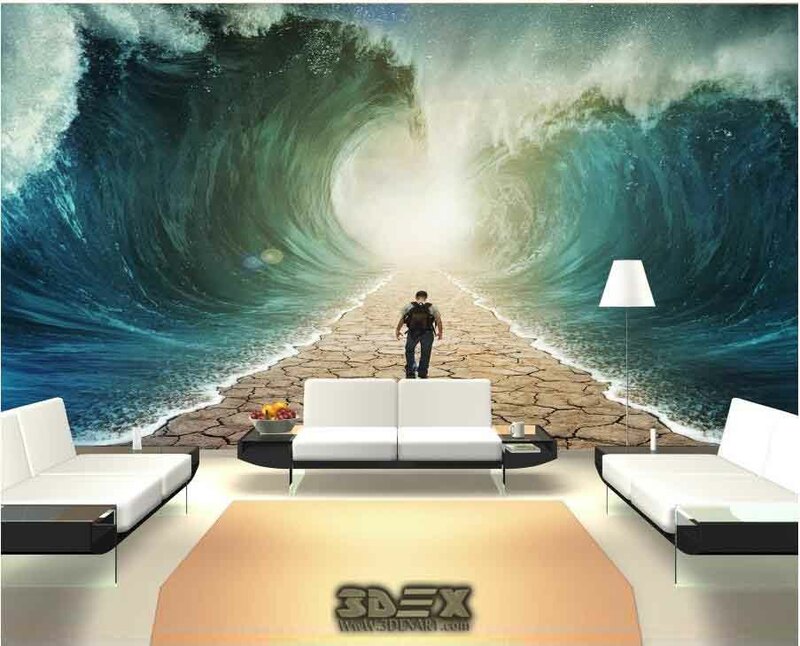 • 3D Wallpaper for living rooms is excellent for the design of paintings because of how they contribute to the continuation of the room. 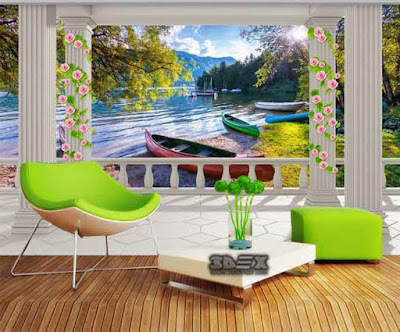 The windows and doors depicted on them will give the feeling of extra space outside the wall. For example, in the hallway, photo wallpapers in the interior show how successful this solution can be. 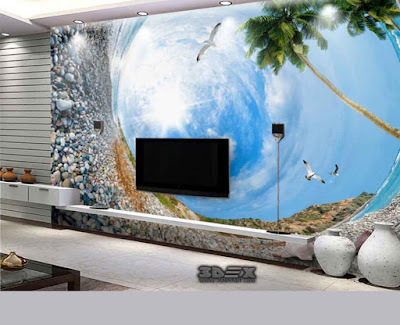 • For rooms located on the sunny side, it’s better to buy a cool wallpaper. 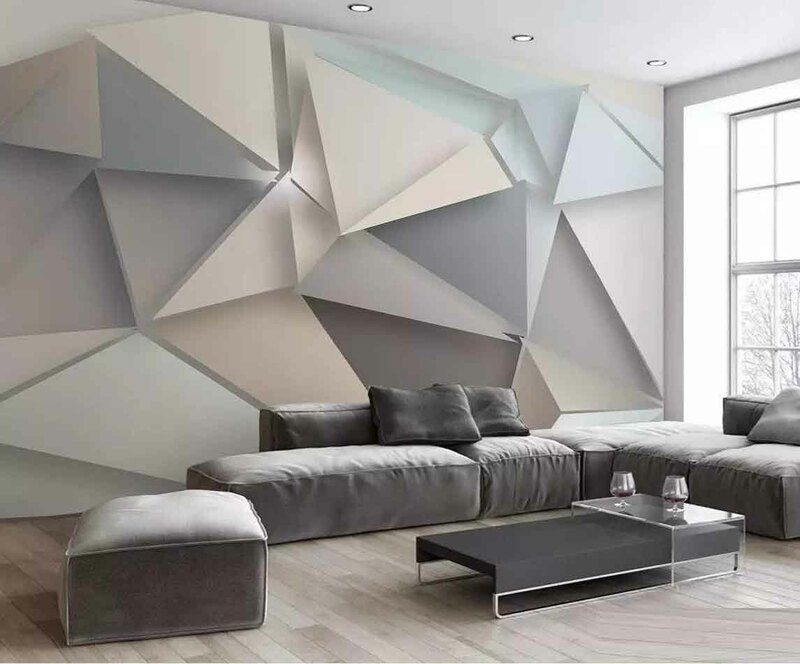 Although this will make the room a little darker, these colors are the best way to expand space. The presence of a horizontal line in the drawing is a prerequisite for small rooms. • Helpful advice! For the wallpaper to really affect the perception of space and visually expand it, you need to free the wall from all furniture that can close the picture. • There are many variants of pictures. Of course, wallpapers in the interior of the bedroom should be selected differently than, say, wallpapers in the interior of the kitchen. 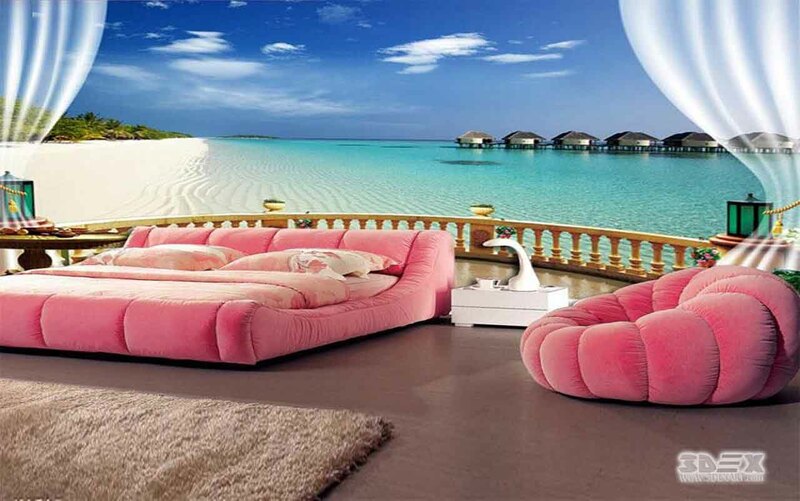 Photos and recommendations of experts will help you make the right choice to win any room. One of the most common rooms with glued-on 3D wallpaper images is the living room. First, it often requires visual expansion of space, and secondly, it's a great way to decorate a wall without cluttering it with unnecessary furniture. The most common version of 3D wallpaper for walls in the interior of the living room is photo landscapes and panoramic shots. These are widely used for decoration of modern interiors to fit the style of high-tech photos of city nights. In the interior of wallpapers, such themes look captivating and stylish. You can often see pictures taken from a great height. 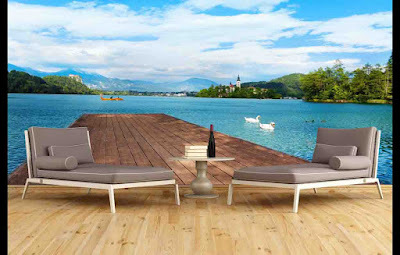 The sea and ocean landscapes depicted on photo wallpapers as well as mountains and forests, flower fields and various exotic islands are an opportunity to create another parallel world in the room that’s capable of giving you a qualitatively new rest. To make the image even more realistic, use a variety of lighting options. This can be both the simplest and the most complex LED design. The right, accurate arrangement of lighting can significantly affect the perception of the walls. The first way is to place spotlights directly above the drawing. An additional wave of light will add to the image of volume and realism. As a supplement, you can install a dimmer instead of a standard switch. This will allow you to adjust the intensity of the lighting. The second (more complex, but at the same time, more qualitative) option - the use of LED strips. They can be placed both on the entire perimeter of the picture and on its individual edges depending on the image. But the complexity of this method implies additional design of the niches in which the light source will be located. If such a niche is not done, the lighting can turn out to be too bright and the goal will not be achieved. 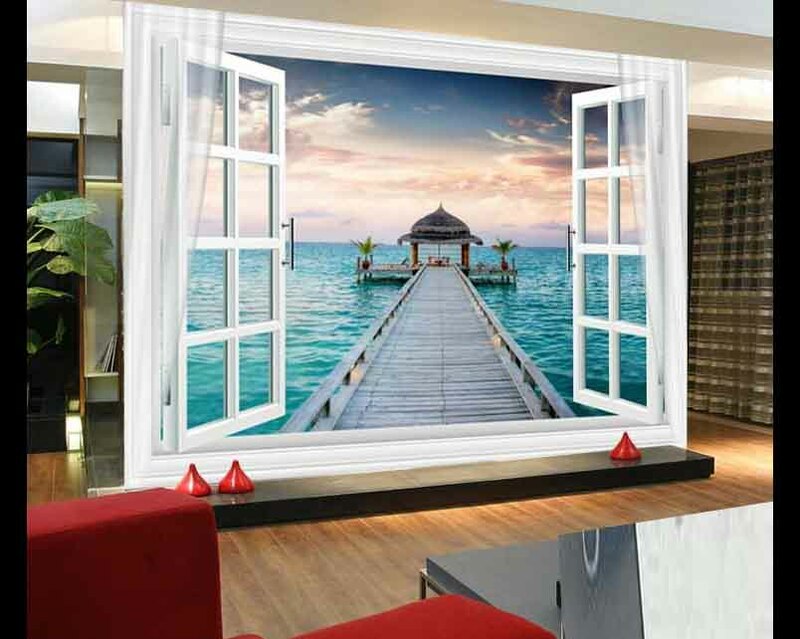 The most complex variants of the design of 3D wallpaper for home walls include the highlighting of individual elements, for example, windows during city nights. Such work requires special professionalism. In the apartments with a standard layout, there is usually a kitchen. And as all members of the family gather at the same time at the dinner table, the kitchen requires an extension (at least visual). So, the wallpaper here is your best companion. 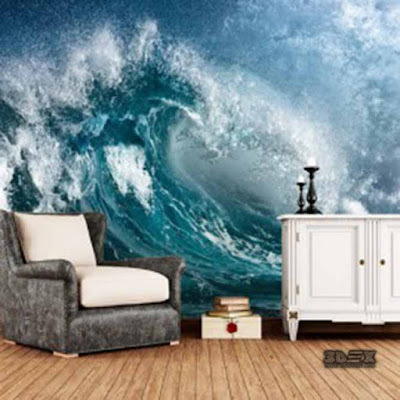 The first thing to consider when choosing 3D wallpapers for the kitchen is the material from which they are made, as well as the quality of their production. Kitchens are places where there is a lot of moisture and dirt, so you’ll have to wash the surface much more often than in any other room. 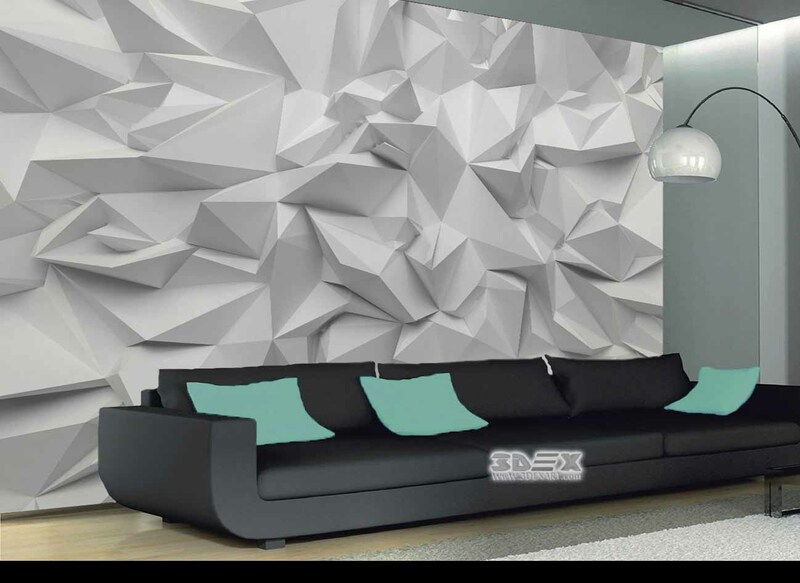 The wall covering for such a room should be able to withstand moisture and temperature extremes. Therefore, the best is a vinyl or non-woven base. At the same time, the dyes used to print the pattern must be moisture-resistant, otherwise, the drawing may soon "swim" from the water. 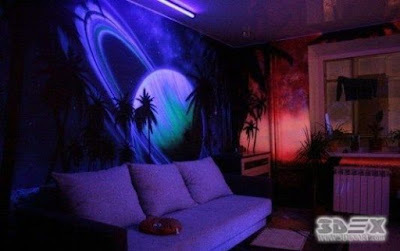 And ink with ultraviolet curing will help the wallpaper not fade throughout its life. Helpful advice! 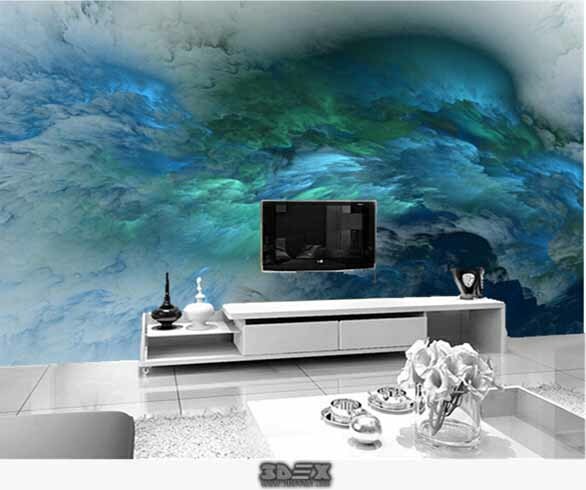 An interesting option for decorating the kitchen is a 3D wallpaper design. As an ornament of the kitchen, you can use wallpaper, making only a backsplash. If the kitchen is angular, then the furniture will visually appear deeper. 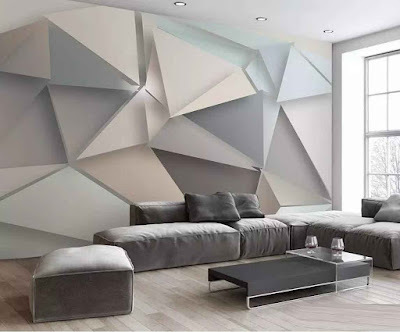 However, remember that expanding the space is better with only a panel with three-dimensional or neutral drawings. 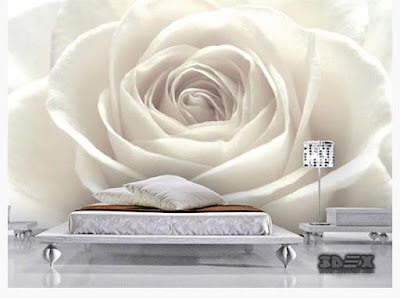 Large bright images, on the contrary, will bring the wall closer.